Do You Have a Mess of Bikes in the Garage? My husband likes to keep me happy as much as he despises a mess. 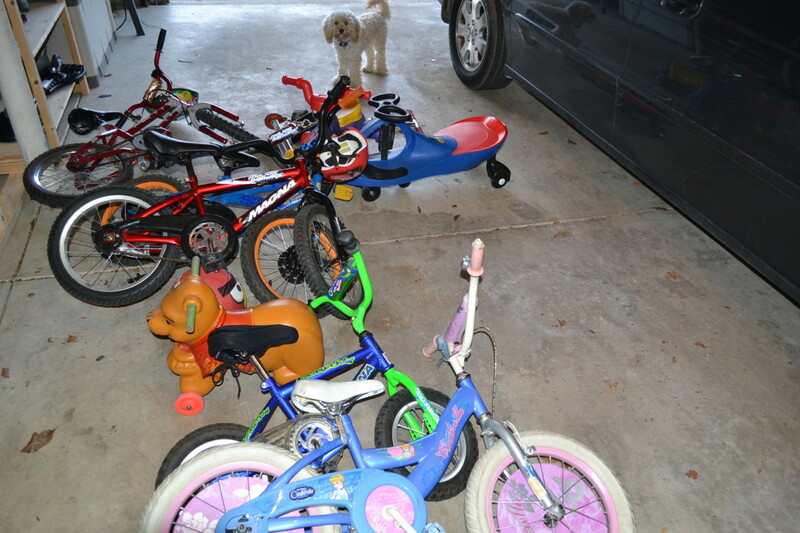 The other day I got out of my car in the garage and stumbled over five bikes. Two were standing correctly on the kick stands, but the others appear to have been discards quickly. 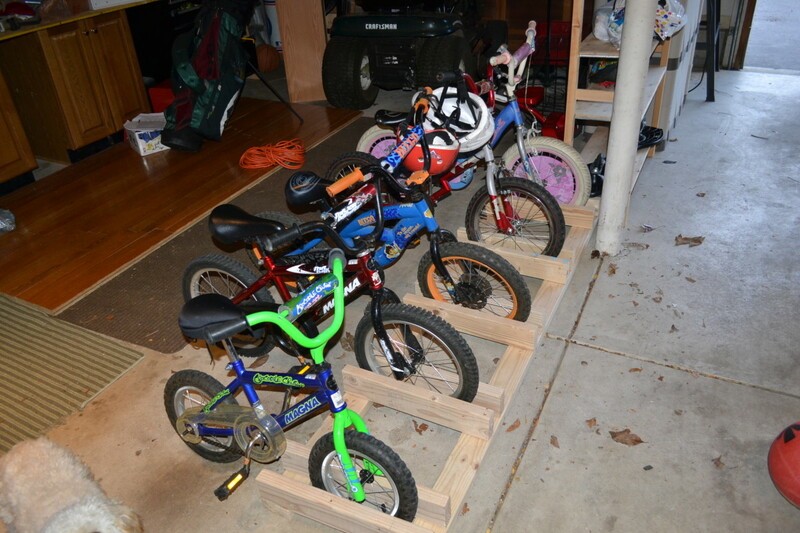 Maybe some of my children had been chased into the garage and had to quickly ditch their bikes? I doubt it. Regardless, this bike mess was crazy and I said to my husband, “What we need is a bike rack!” He stopped what he was doing and just looked at me. He said, ”We will see” and I figured our bike mess saga would continue. Yesterday I arrived to find a bike rack in the garage. It was genius and I gave my husband a hug. I was impressed with how simple, yet effective this bike rack appeared to be. 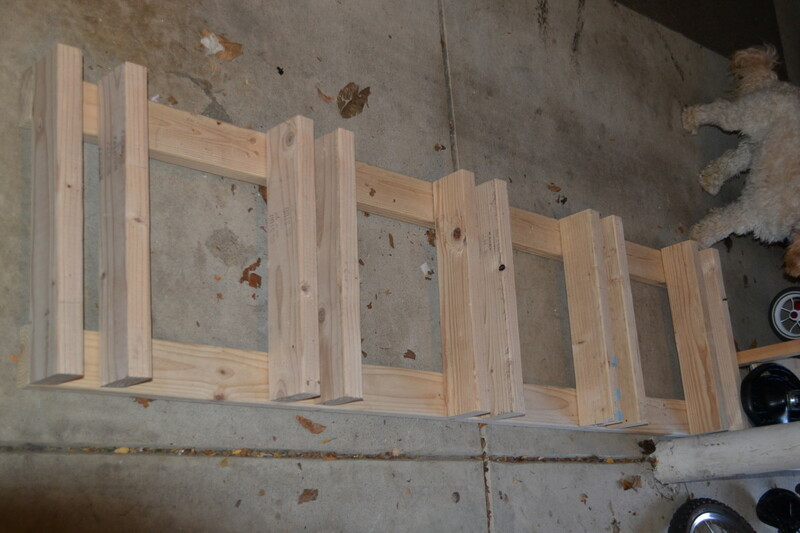 My husband explained how to make a simple, DIY, bike rack using some wood and a few nails. 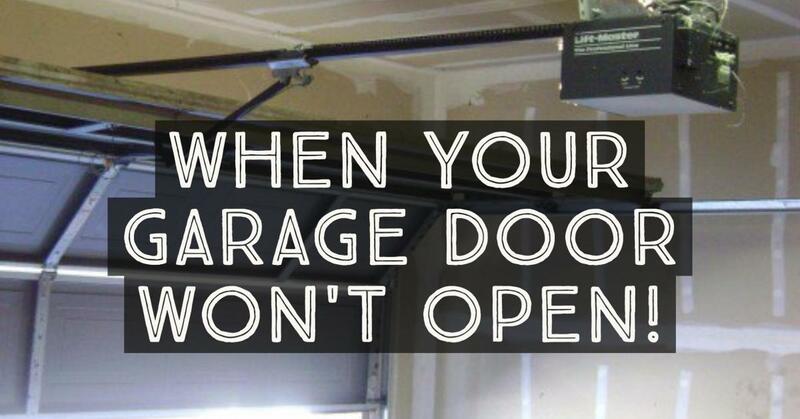 How do you store your bikes in the garage? I was thrilled to find that all five bikes easily stood in the bike rack. I was pleased that the kids were able to remove them easily. I was surprised to find that there was room between each bike for some smaller toys, including balls and helmets. Overall, I love that the bike rack takes up only six feet by three feet (with the bikes in place) and keeps our garage a bit more organized. 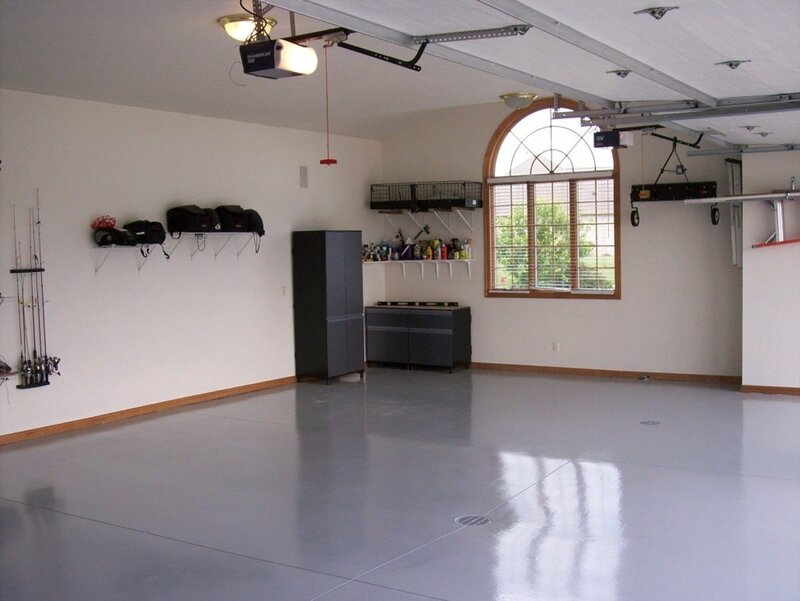 Do you have bikes all over your garage? Hanging them from the ceiling is an option, but what if your kids need to be able to get to them without your help? Consider this simple and inexpensive bike rack. I am thrilled that my Do it Yourself husband was able to easily clean up some house hold clutter! This is a great project. I have very little carpentry experience and was able to build it yesterday in just a couple hours (including going to the store and buying the parts). Overall, I am very happy with it. Just like the pictures, it has organized my 6 bikes in my garage and they're no longer all over the place! Love it! Wow I've got 6 kids and the bikes are all in one place, but if one falls over it knocks em all over and what a mess...this is a great idea. Thank you for sharing! Thanks, Breathe2travel. Every time I walk by the bike rack I consider myself fortunate that I do NOT have bike all over the place like before. Thanks for reading! Brilliant. Absolutely. Up, Useful, Interesting. Would be fun to do with the kids! Bravo. Ktrapp, I was pleased at just how simple my husband's innovation was. We had bikes leaning against the wall, too, as a kid and I recall it being a tight squeeze to get into the house. I just walked by the bike rack again (moments ago) on my way into the house. I am still thrilled with the bike organization! Thanks for commenting and reading! This is incredibly innovative. When my kids were younger we always had bikes leaned up against the garage wall which always fell over from time-to-time. What a great solution! Thanks, Kashmir! I was so pleased that he built the rack so easily. I was shocked at just how simple the design was. I am loving my 'lack of mess'! I appreciate the vote up and sharing! 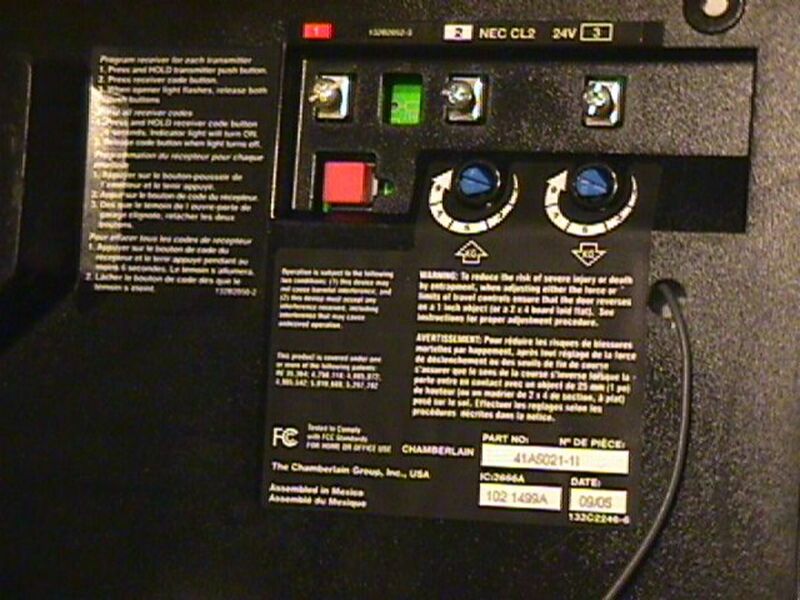 Great hub and great easy to follow instruction on how to build your own bike rack. Well done !